The P700 is a cost effective 'Snap-fit' glazing bar system designed for lean-to, 45mm wide rafter-supported roofs. 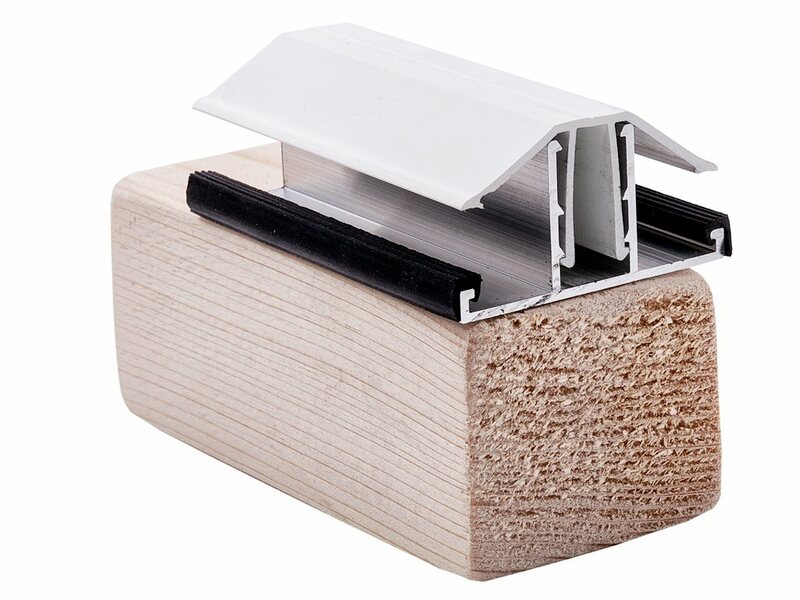 It consists of a lightweight 45mm wide aluminium mill finish base bar that is screwed on to a rafter along its full length, gaskets for this bar, and a white or brown PVCu capping bar with a co-extruded edge gasket that is snap-fitted into place to hold 10mm, 16mm or 25mm multiwall polycarbonate. A two-part, screw-on white or brown PVCu end plate finishes off each bar. Additional individual end plates are also available separately. If you have a project in mind or would like help or advice on any of our products or services, please either ring us on 01925 826314, email us at enquiries@birchwoodtrading.co.uk or get in touch via the enquiry form on our contact page.